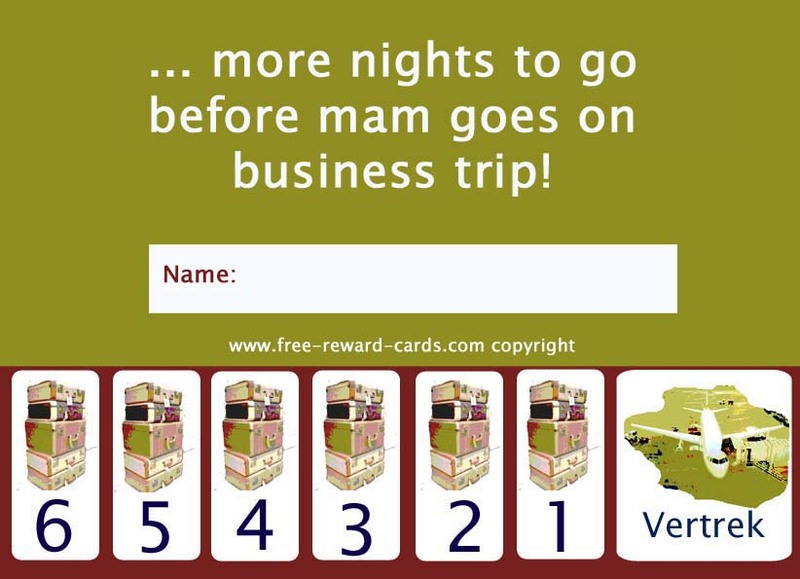 Countdown calendar, mam on business trip. Make the numbers peel off vertically from the bottom by cutting. Your child can tear a number every day until mama goes away. All these really nice countdown calendars are free printable via www.free-reward-cards.com. The cards are ment to make parenting more fun and easy for both parents and children.